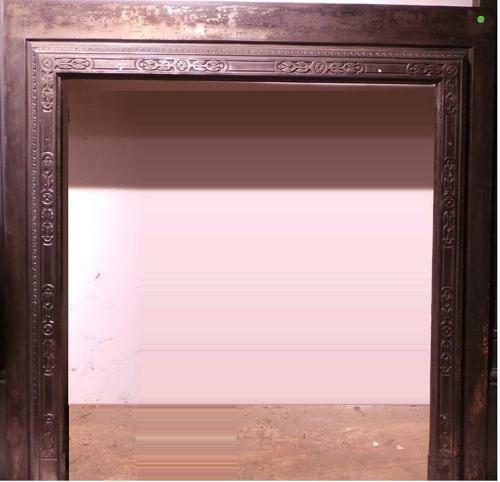 A lovely metal trim for a woodburner or small fireplace. The trim has a flat border, which is attached to the wall and a raised inner border with etched, decorative patterns. The raised area has holes for screws.